The LC is thrilled to announce some exciting news! We are launching a brand new and exclusive jewelry collection called the Tribal Collections of India. It includes jewelry exhibiting features unique to four different tribes in India and a stunning coin collection with one of a kind characteristics. Continue reading to discover more about these exclusive designs. The history of Indian tribal jewelry dates back over 5,000 years. Each tribe portrays a distinguished jewelry style. These jewelry pieces are rarely uniform in shape or exactly symmetrical. These irregularities add to its charm, heritage and value. 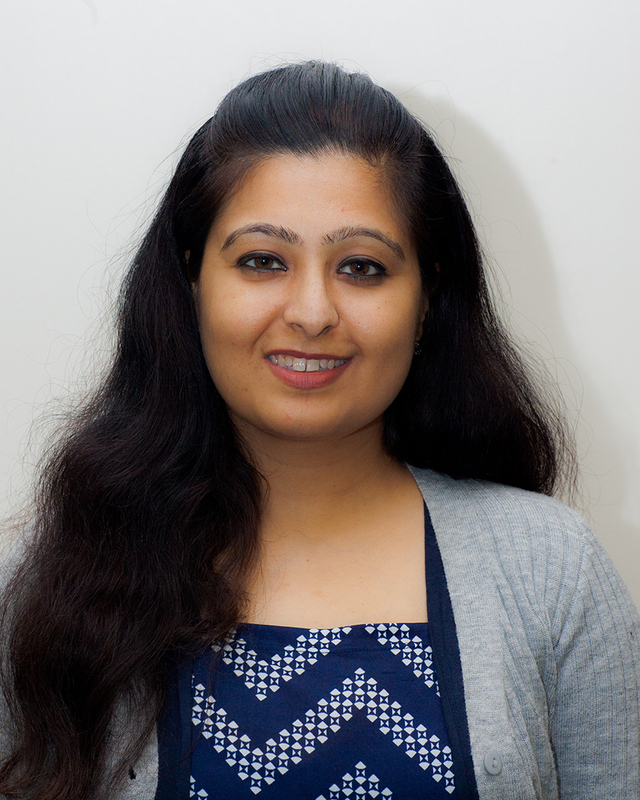 Anubhuti Arora is part of the LC Family and was inspired to create the concept of this collection. Having been born in India and brought up there, she learned all about the significance of wearing specific jewelry pieces as a form of expression. We were able to sit down with her and ask her more about this amazing journey. Tell us a little bit about the Tribal Collections of India. For this particular collection, we were inspired by four different tribes from four different corners of India. They included the Rabari tribe, a selection of northeastern tribes, the Dhokra tribe and the Kunbis tribe. These tribes were selected because of their unique craft work and the way they have maintained the tradition. We also have a separate coin collection because coins are an important part of Indian craftsmanship. How is the jewelry of each tribe unique? 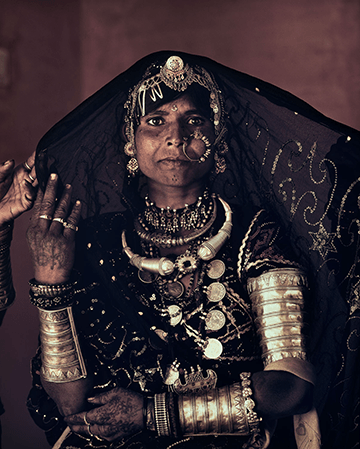 The Rabari tribe features jewelry crafted from silver and brass. It is known for silver ornaments that are usually pretty heavy. The pieces are embellished with metal-mesh, coins, beads, embossing and chains. The jewelry of the Rabari tribe is modest compared to other tribes. The northeastern tribes feature elegance of the Himalayas. The jewelry comprises of gold, silver, coral, beads, turquoise and zee stone. Each piece displays a rustic and earthy charm. The Dhokra tribe consists of ornaments made out of silver metals made by a particular section of artisans. 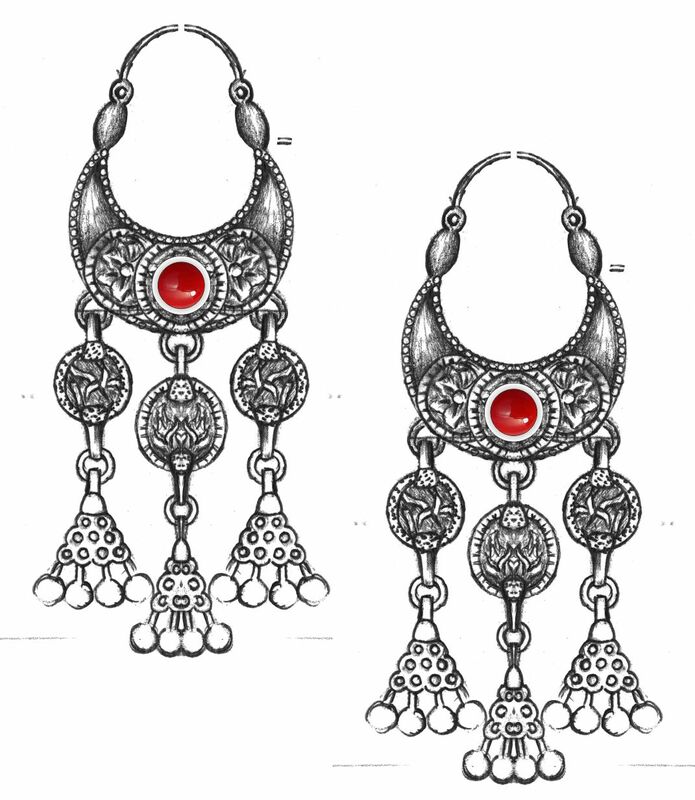 The jewelry features designs and motifs of each ethnic group within the tribe and is also known for filigree work. The Kunbis tribe is known for its use of colorful beads Bangles, bracelets and necklaces studded with precious and semi-precious stones are also prevalent. The jewelry is highly inspired by nature. Where does the coin collection fit into all of this? Coins have always been an integral part of tribal jewelry. Coins are either used in their original forms or they are melted down to be incorporated into jewelry. The embossing on coins are very unique, and each tribe adorns coin necklaces and waistbands differently. What is your favorite piece of jewelry from this collection? There’s a bracelet that is my personal favorite because it’s beautifully done. It features dangling coins and each coin features a different celebration depiction. It makes me feel festive. Do you want to create another collection in the future and if so, what would it feature? Yes. I would love to cover the tribal art aspect because there is a lot to pull from. 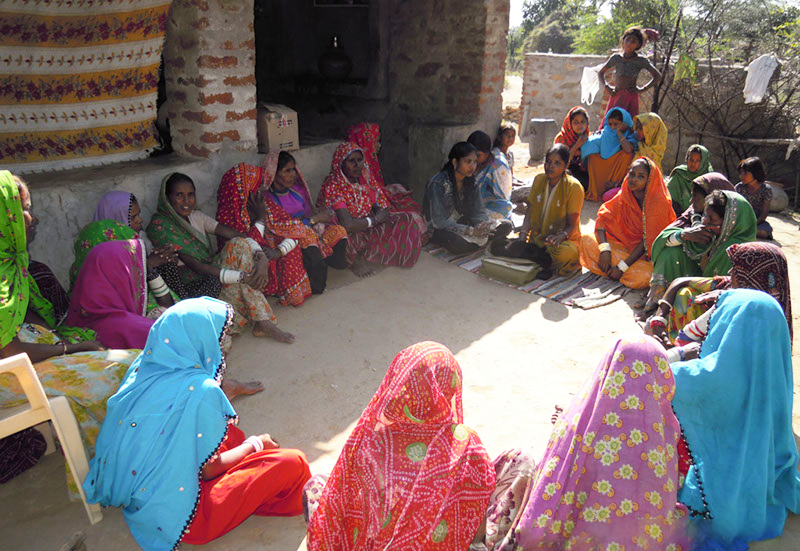 There are so many tribes in India, and we’re only covering four right now. I want to cover more in the future and expand within the Tribal Collections of India. Tune in this today from 12 p.m. to 11:59 p.m. CT as the LC launches the Tribal Collections of India for the first time ever. From intricate designs to one-of-a-kind pieces, you won’t want to miss out!